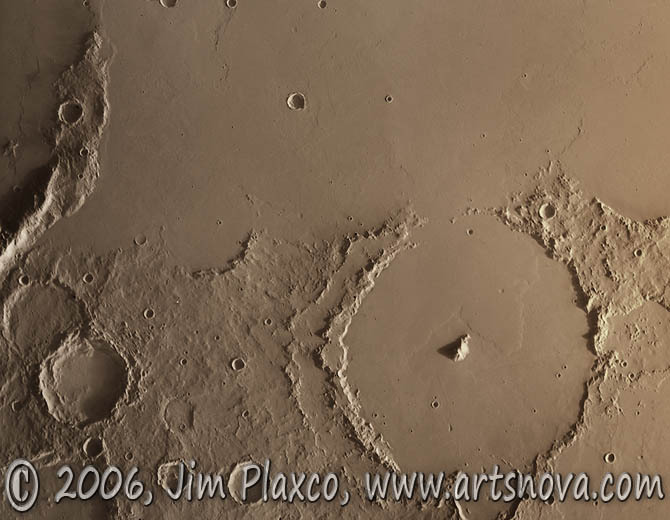 Pickering Crater Mars is not really a work of art. Rather it is the end product of an image processing process than began with a series of raw black and white image data files captured by the Viking Orbiter 1 mission to Mars. Pickering Crater is the large crater at the bottom right which containing a central peak. The crater is approximately 115 kilometers in diameter.